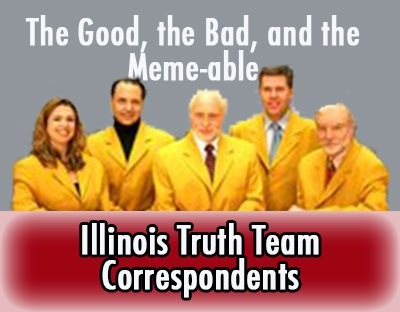 As the Truth Team continues to grow, we're expanding our coverage through the addition of a "Illinois Truth Team Correspondents" Program. In the same vain as the Daily Show Correspondents, our team will focus on particular issues, regions and races in Illinois politics. We're proud to introduce our first Illinois Truth Team Correspondent: Robert Newport. Robert will be covering the State House beat focusing on the western suburban races. Stay tuned for the first piece from Robert where he covers the (literally) batshite crazy race in the 97th District. We're also looking for additional correspondents to cover other races and issues across Illinois.